Botswana is an unforgettable travel destination blessed with abundant wildlife, ancient cultures and a staggering diversity of landscapes. Much of the country is vast wilderness, untouched and untamed by modern infrastructure, making it a destination that requires a little extra time and planning, but one that is incredibly rewarding. Head to the magnificent Moremi Game Reserve to get close to Africa's iconic Big 5 game animals and camp overnight surrounded by the sounds of the wild, fully experiencing the beauty and diversity of this magnificent environment. 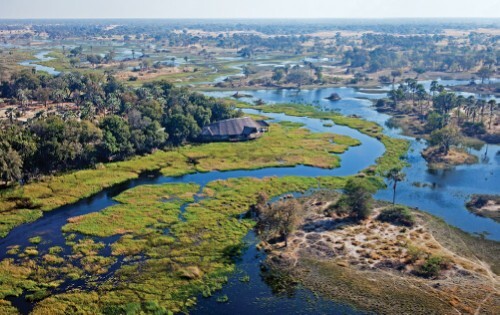 Don't miss the lush wetlands of the Okavango Delta, one of the world's richest bird and wildlife watching spots, where you can encounter abundant wildlife while being poled along gently in a traditional mokoro dugout canoe through the spectacular tributaries of the Okavango. Marvel at the stark, otherworldly beauty of the sandy plains, dunes and pans of the vast Kalahari Desert, and discover the ancient history, rich culture and artistic traditions of the San people. 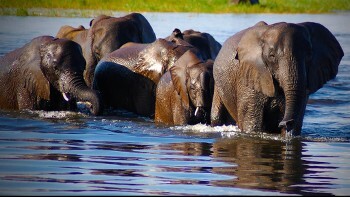 Then, venture north to the vast Chobe National Park to see huge herds of African elephants on an early morning game drive, and watch hippos, elephants and other iconic wildlife at play as you take an unforgettable cruise down the Chobe River at sunset. Our unique itineraries are designed to get you deep into the heart of this unspoiled wilderness - so start planning your Botswana adventure today! Sleeping with the calls of the night all around provides a true wilderness experience. 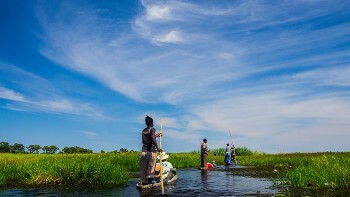 View magnificent wildlife whilst being poled through the waterways in a traditional dugout canoe (mokoro). 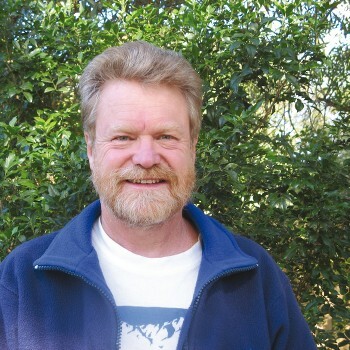 Travelling on foot offers a natural and different safari adventure at the grass roots level. 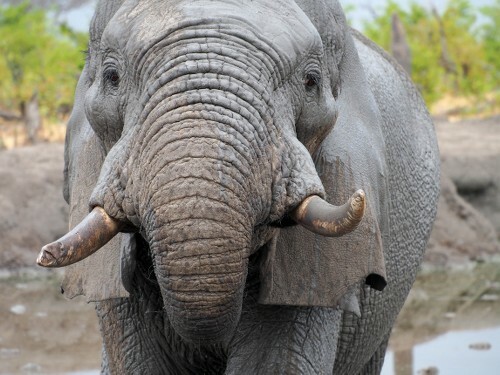 See Chobe National Park's large elephant herds on an early morning game drive. Be enchanted by the diverse marine wildlife on a Chobe River sunset cruise. 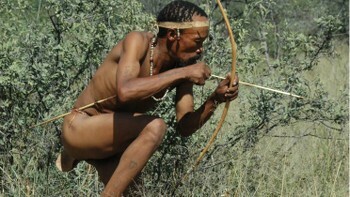 Learn about the fascinating Bushmen culture amongst the dunes and pans of the Kalahari Desert. Traverse the world's largest salt pan with Baines baobabs and the summer zebra migrations. Botswana is an expensive country following the principle of low volume and high cost. 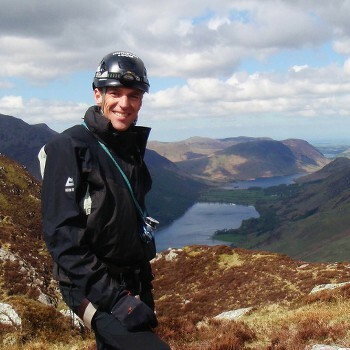 Our adventures offer the ultimate value for money by providing top quality service and atmospheric accommodation. Additionally, we aim to incorporate as many inclusions as possible in the tour cost such as most meals, transfers, excursions, game drives, permits and national park fees. 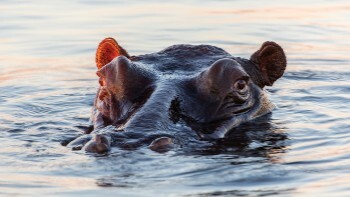 Our Botswana adventures are packed with unique elements that give you real insight to this part of the world. From visiting the best wilderness areas to camping under the stars and spotting wildlife during a safari, there are many options to satisfy the keenest wildlife and cultural enthusiast. 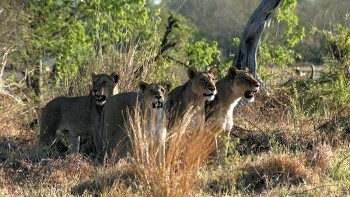 Our expert guides in Botswana are the real key to our success. From spotting wildlife and natural signs during a walking adventure to cooking up a feast on the campfire, our guides are passionate about sharing the wonders of their country and culture to make your Botswana experience special. We offer a wide range of adventures in Botswana to suit various budgets and interests. If you are looking for a little extra luxury, check out our 'In Comfort' range of safaris which feature some high quality boutique accommodations. Responsible travel practice is at the heart of every program we offer in Botswana. Our adventures provide a true wilderness experience by viewing wildlife in their natural habitat and supporting the protection of diverse environments and local communities. 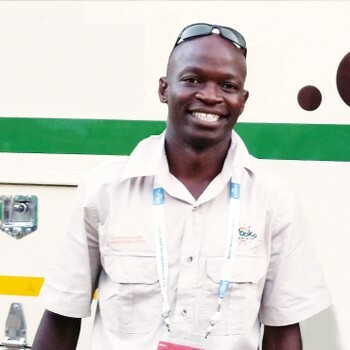 Our guides are all professional Botswana safari guides, equipped with an intimate knowledge of their cultural and natural environment and driven to conserve and preserve. We adhere to our Animal Welfare Code of Conduct in Botswana. We strongly discourage contact with lions through lion cub petting and walking with lion activities, as well as elephant back rides. We support the villages in the vicinity of our camps and safaris, implementing projects that improve their access to education and health. Sample the region’s excellent wine & local produce, or take part in a braai (barbecue) if you’re lucky! Botswana banks accept US Dollars, Pound Sterling, Euro and South African Rand notes only. Travel with US Dollar cash, preferably in small denominations. Pre-1996 notes are not accepted due to the high number of counterfeits in circulation. The only ATMs in Botswana are in the major urban centres, where banks can also be found. Visa and MasterCard are usually accepted throughout Botswana. American Express and Diners Club are not accepted. 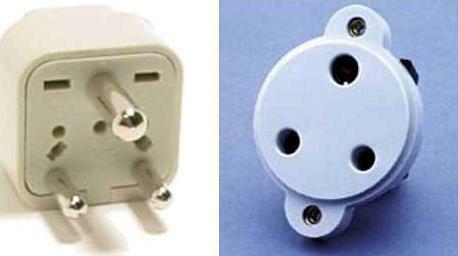 All outlets charge a significant premium for using a card so expect to pay an additional 5% to 10%. Electricity in Botswana is 230 Volts, at 50 hertz. The pin types used are D and G.
A US$30 Botswanan Government tourism levy, valid for thirty days, is payable by all foreign tourists at border posts and airports on arrival. This can be paid by cash (recommended), credit and debit card. Regulations have been implemented for people travelling with children to/from Botswana. Anyone who is a minor (less than 18 years) must produce an original birth certificate in addition to a valid passport. If the child is not travelling with both parents named on their birth certificate a statutory declaration or affidavit made by the parent/s who are not accompanying the child, declaring that they give consent for the accompanying adult/s to travel with the child. This should be done and signed before a Justice of Peace. If the new requirements are not met, then boarding can be denied by any airline flying to/from Botswana, or travellers may be turned back at the border. If this applies to you, please make enquiries with your respective Botswana consulate/mission to confirm, as the conditions frequently change. We can assist with contact details of the relevant authorities if required.